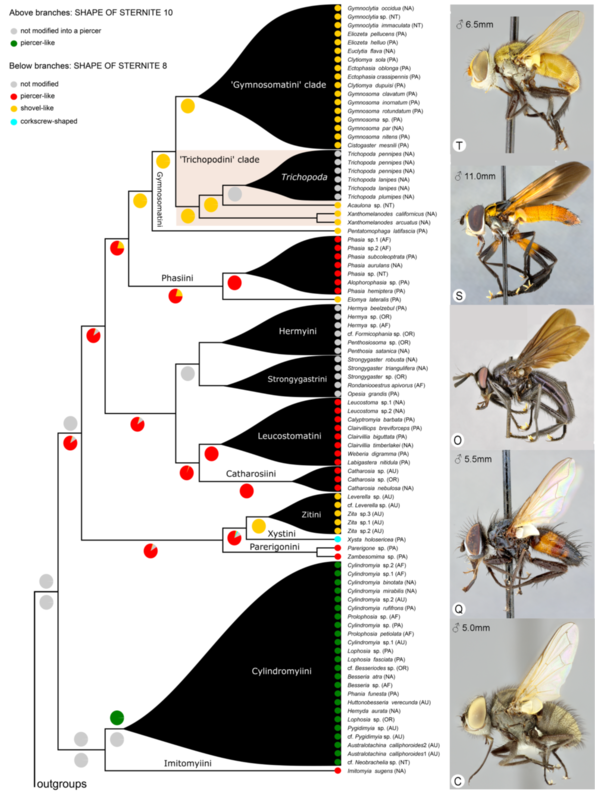 Phasiinae (Diptera: Tachinidae) are a fascinating group of endoparasitoid flies that primarily attack true bugs (Heteroptera), many of which are important agricultural pests. We use phylogenetics (i.e. creating hypotheses about how animals have changed through time using physical traits and/or DNA) to explore questions about host use, species diversity, and taxonomy of phasiines. Evolution of phasiine piercers used to inject eggs into stink bug hosts. From Blaschke et al. (2018).